It's sooooo important for kids to practice and learn their addition facts!!!! If we try to combine math with a holiday and / or a game, then dull practice can turn into a fun activity. Here is a Spider Addition Activity! In this math activity students match up spider cards (addends and sums). It can be also be played as a fun Concentration Game as well as a Matching Activity. This activity is free and you can download it from my TpT store. Just click on the link below! If you don't have a TpT account yet, then you can quickly sign up for a free buyer's account. It will only take a minute or two! 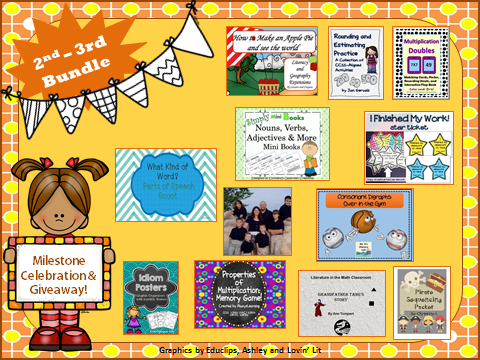 You can thank me later when you see all the other awesome free and paid products at the TpT site. A buyer's account is FREE. The basic seller's account is also FREE! Also, if you missed yesterday's freebie: Friendly Ghost Odd and Even Sorting Activity, just click the link below! With only 5 more days until Halloween, I want to make sure that you have checked out and downloaded my FREE Math Halloween Odd and Even Activity for kids! This product is free at my TpT store. If you don't have an account, it takes about 1 minute to open a free buyer's account!!! Lots of classroom teachers and homeschooling moms are sellers. If you'd like to also become a seller, let me know and I'll help you get started. Here's the link to the Friendly Ghost Odd and Even Activity. 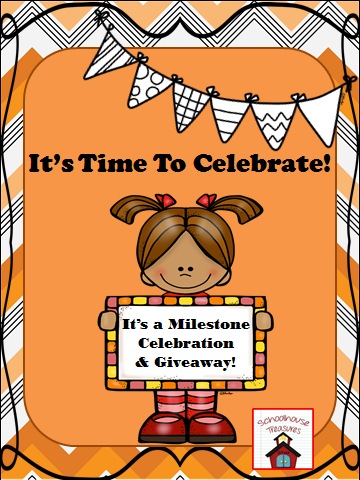 Diane at Schoolhouse Treasures Blog is having a wonderful GIVEAWAY! She has lots of resources for Kindergarten to Grade 6. This giveaway starts on Monday October 13 and ends on Monday October 20. My donation to Diane's Giveaway is my MULTIPLICATION with DOUBLES Matching Game. To enter the Giveaway, click on the top picture. Young students need to develop fluency with basic number facts to succeed in math. Since it's so close to Halloween, here is a little Multiplication Table Freebie with a SPIDER theme that students can complete independently or with help. After completing the table they can identify and describe lots of patterns that they see with the numbers. You can go over to my website to grab this freebie by clicking on the link below or the picture above to grab your free Spider Multiplication Table. If your students like learning about spiders and making fun spider crafts, you can click on the link below for some fun spider activities.